Bridge Constructor Portal (game, 2017). An engineering simulation and puzzle video game by Headup Games. Developed by Headup, Whisper Games, Bridge Constructor, Clockstone Studio, Stage Clear Studios, ClockStone Software GmbH. Official Trailer. 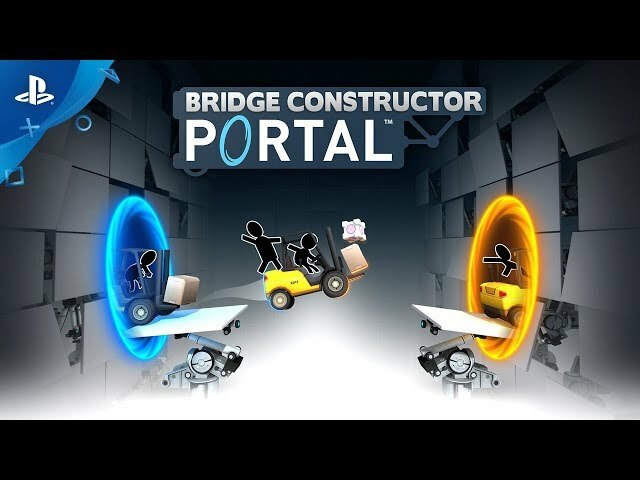 Bridge Constructor Portal is an engineering simulation and puzzle video game by Headup Games, developed by Clockstone Studio, Stage Clear Studios, ClockStone Software GmbH, Bridge Constructor, Whisper Games and Headup. 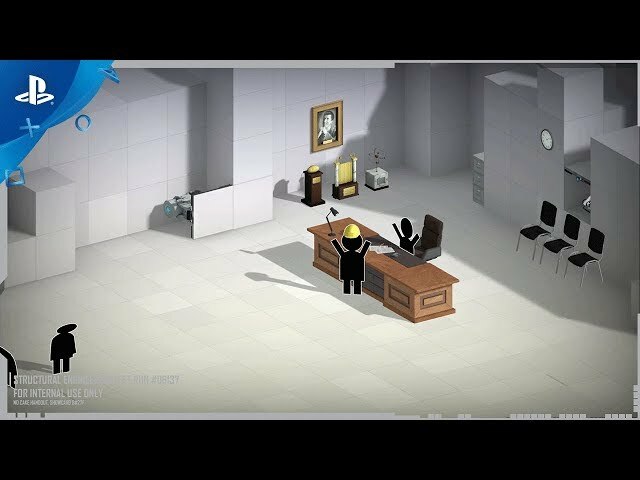 Bridge Constructor Portal - Gameplay Trailer | PS4. Bridge Constructor Portal is an engineering simulation and puzzle video game set in the universe of the Portal series. Players are tasked with designing and constructing bridges to get one or more trucks from one location to another at Aperture Laboratories under the supervision of the artificial intelligence GLaDOS. The game merges elements from the Bridge Constructor series and Portal series. Players are tasked with building bridges using struts (which can be converted to road segments) and cables, anchored to pre-designated fixed points on the level's walls. The limited availability of fixed points may require the player to construct self-supporting bridges. These bridges must be able to withstand their own weight, as well as the trucks and any force they impart when landing on the bridge. Elements from Portal require the player to guide the trucks across the bridges, navigate through portals, cross over buttons to open doors or other actions, avoid coming in sight of sentry turrets or in contact with deadly fluid or laser fields, and use other Portal gameplay elements like propulsion and repulsion gels and launching pads. Players can switch between construction mode, test mode, and vehicle mode to visualize their solution. Test mode simulates the physics of the level to see how the bridge components stand up under their own weight. Vehicle mode sends one or more trucks through the player's solution. During either of these, the game shows any struts or cables that are under stress (highlighted in red). If they exceed their stress limit, they will break and cause the bridge to collapse. If the player designs a bridge to successfully allow one vehicle to pass, they can then try to send a convoy of vehicles through the course. These vehicles are released one at a time at regular intervals, and tests to see if the bridge components stand up to repeated stress or if the crossing of paths causes any collisions. 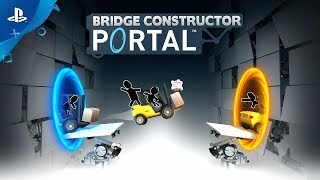 Bridge Constructor Portal is an engineering simulation and puzzle video game set in the universe of the Portal series. Players are tasked with designing and constructing bridges to get one or more trucks from one location to another at Aperture Laboratories under the supervision of the artificial intelligence GLaDOS. Bridge Constructor Portal was scheduled to be released by Headup Games on December 20, 2017, on February 28, 2018, on March 1, 2018 and on October 18, 2018. This video game is available for the following platforms: Android, iOS, Linux, macOS, Windows, Nintendo Switch, PlayStation 4, Xbox One.